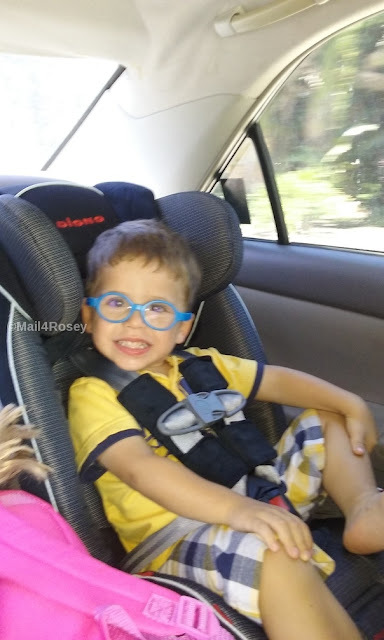 Mail4Rosey: Passenger Safety Week! 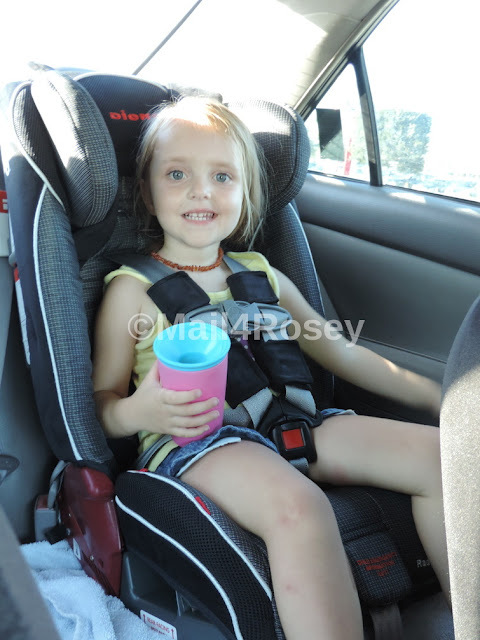 Enter to #Win a Diono Car Seat! Passenger Safety Week! Enter to #Win a Diono Car Seat! 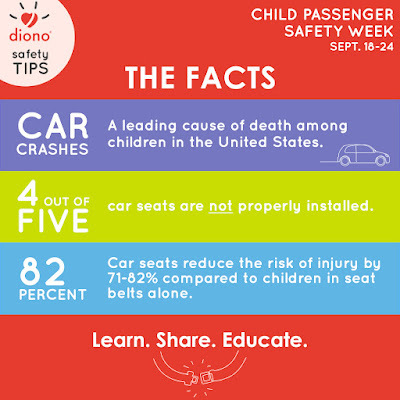 Just a reminder that TODAY is the last day to enter to win a Diono Car Seat in celebration of Passenger Safety Week! As you can see in the picture above and the two below, we get a lot of use out of ours. 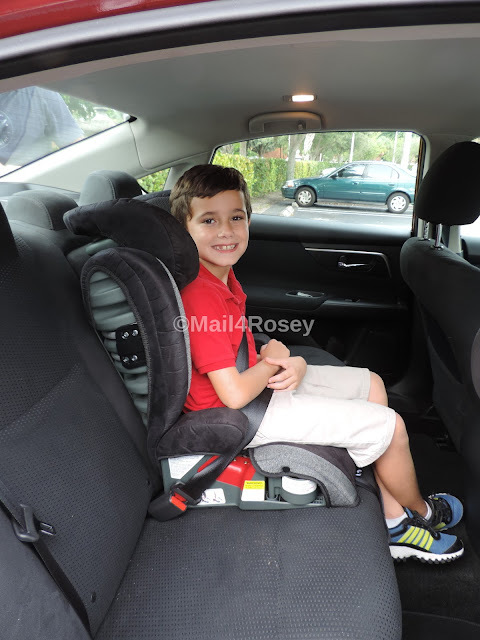 My son is 9 and he still rides in a car seat (our Diono goes up to 120 lbs!). I say the longer you can leave them in there the better. The Diono helps boost him up over window height too, so he can see where we're going when we are on the road. Sometimes my niece or nephew come to visit...and we even have a little one two years younger than little man pictured above who is sometimes over at our place. The Diono comes with a removeable cushioned head piece for the babies, and we make sure when the wee littlest one is over, that we use it. The Diono car seat is the best I've ever owned. With features like a slim design (so you can fit three across a seat, or simply not take up too much room), the ability to hold children from newborn to 120 lbs., a full steel frame and aluminum reinforced sides, and a 12 position aluminum reinforced steel headrest, Diono really knows how to keep children safe (which makes parents, myself included) very happy. Speaking of keeping parents content (or giddy, lol) this seat also folds flat when not in use, and has a carrying strap so it's easy to take along. I love that last feature for airplane rides. No more awkward car seat carrying through the airport! 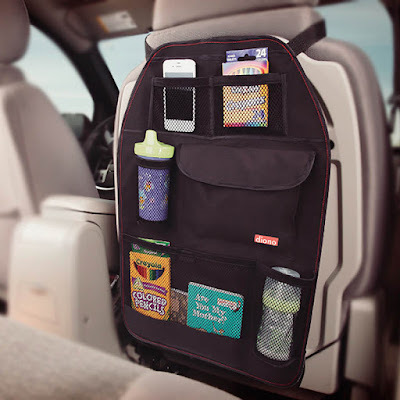 Diono makes other great items for the car too. My son is loving the Travel Pal. This little beauty has a whole lot of pockets, a drink carrier and different areas to store books and other toys that you might like to bring a long (or electronics if the kids are older). It is a great way to keep everything in place, and I couldn't be happier having this in our car. 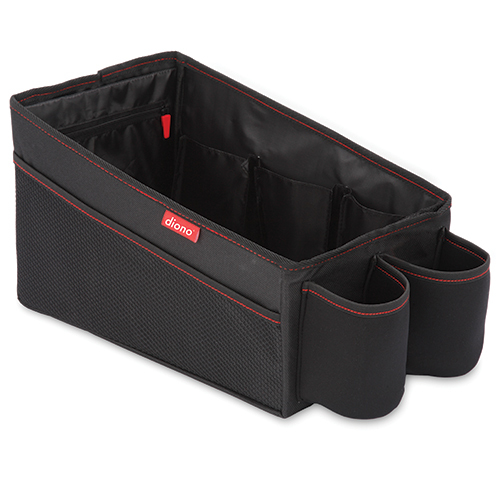 It folds flat for storage, and the entire cargo area is waterproof, just in case something gets spilled. 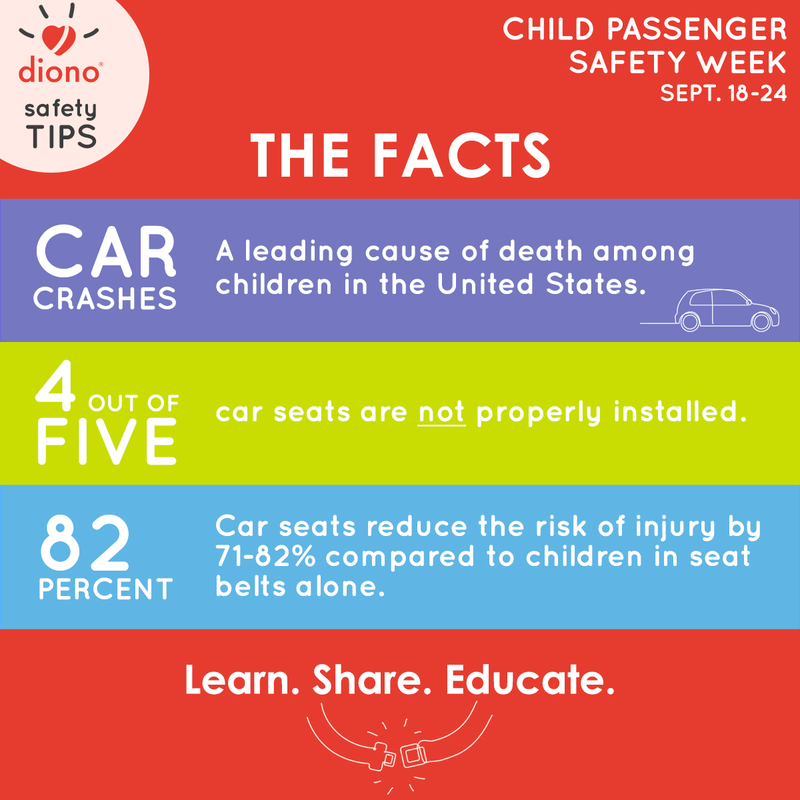 Diono has been our favorite brand of car seat for a long time now. I trust them with my kids, and that's saying a whole lot! You can learn more about Diono and all of the wonderful products they have by visiting their website. You can also follow them on Facebook and/or Twitter. If you visit their blog, you can also enter to win a Diono car seat to call your very own! This looks like a great car seat and what a terrific giveaway. I need to get a Travel Pal for my son. Sure looks great for those with kids around indeed. I didn't know that great statistics. Wow, it's worth keeping them in that car seat as long as you can. 120 lbs would work for some adults! It's really changed over the years. Wow I love the stow and go! I need a few of those my kids put their stuff all over my car. I have heard great things about Diono car seats. This is a great chance to win. Look at all these sweet kiddos in your life! sounds like your car is prepared for the visits as well as your own kid. I love the organization in the back, total heart eyes over here. I am expecting my first and I am just starting to look at car seats. Thank you for this post - what convenient timing! This sounds like such a great car seat. I'm glad you're able to get so much use out of it! That looks like a fantastic car seat! This is such a great giveaway. You know, I have never heard of this brand of car seat before, but I love all its features! Hopefully we won't need one for a long time, but when we do (grandbabies) I'm going to be looking for them! Safety is so important. I'm glad you shared this information. And, good luck to those who enter! Sounds like a great car seat! Love that awesome giveaway! I think this is an awesome way to celebrate passenger safety week. They really have great products. I am loving all the things that you featured here! I love that Travel Pal and the Stow n Go. It would keep my car tidy! The car seat looks like it is a good buy. I will recommend this to friends and family too. I think having a good car seat is important! It sounds like a great car seat. We just took our kiddos out of their car seats. We have two Dionos and LOVE them. I didn't realize they made the other accessories. Off to check them out! Those are nice carseats! My kids don't need anymore or I would enter! This looks like a great carseat! What a wonderful giveaway! We are debating about keeping our 5 year old in a carseat or switching him to a booster. Wow, this is wonderful. How I wish I have a car first, just kidding. Will share with my sis! We have this carseat too and it's the best! I love that organizer, I need that!! That sounds like a good car seat. I love the multi-pockets for storage too. As much as I love that car seat, I am really giddy for that travel pal. You know it, I'm always on the road and I wouldn't mind having my stuff in a tight place! Oh,it looks like I need all that they offer. The seat and travel pal for sure. Ok I am back to tell you my husband and I saw the Diono and I remembered this blog story. We have three children under 5 and we swap car seats. We bought 3 and they fit in the seat together. It is so nice to have all 3 kids side by side and within reach!